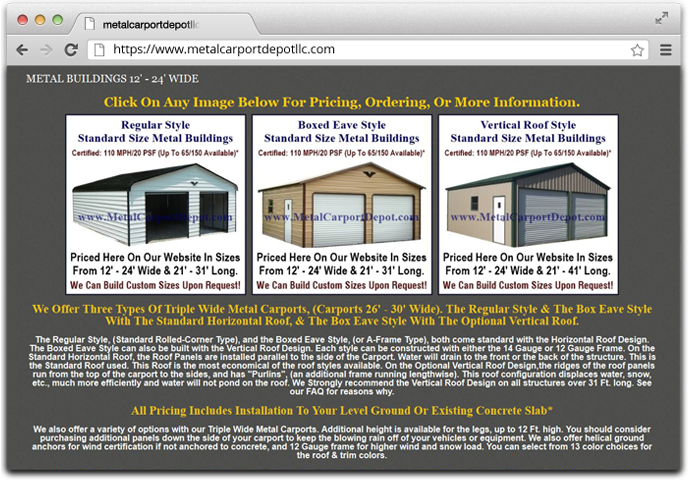 Metal carport depot offers you the most rugged and long lasting way to protect your truck, car, RV, boat, farm equipment, or almost anything else which needs protection from the harsh outdoor weather. 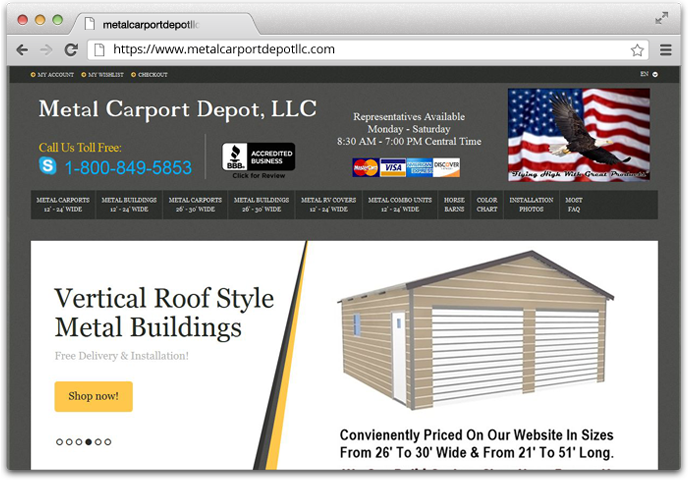 Metal Carport Depot’s wide selection of high quality metal carports & metal buildings are the best solution to meet your long term needs. 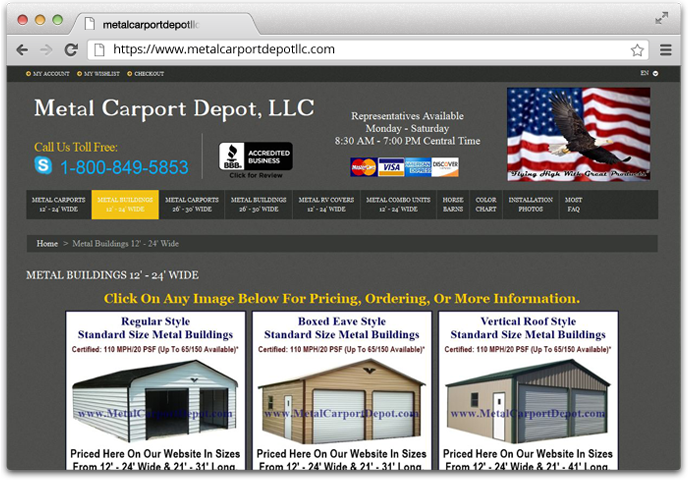 Metal Carports and Metal Buildings are a convenient & economical way to store and protect your investments for many years & will outlast wood & canvas products. Calculate the custom price for the product without creating multiple simple products of one product. 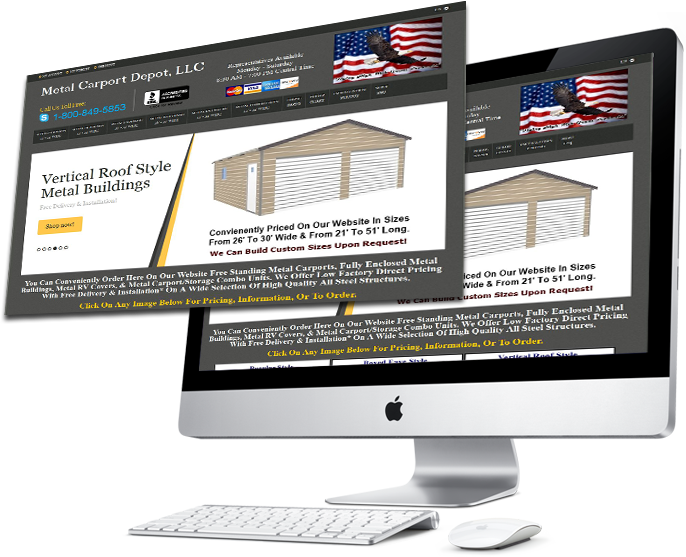 All the product attribute have their own CSV files for price calculation. Display only product images on product listing page. Each Category products have their unique price calculation formula.